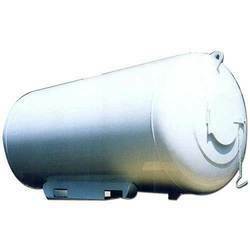 Exporter of a wide range of products which include pressure vessels. Being a highly effective, lean and fast-moving organization, we are highly instrumental in providing an extensive array of Pressure Vessels. The offered range is manufactured using high grade raw material and advance technology by our skilled professionals. To ensure quality, these vessels are stringently tested on various parameters. These Pressure Vessels are available in various specifications as per the client requirement. Our valuable client can avail these vessels from us at market leading prices.